I love chocolate. And butter. And sugar. See, I told you it was nothing. It's more so a reassurance to those of you few readers out there that think aloud to yourselves, "Gee this girl sure seems to like her chocolate with a heaping side of butter whipped into some powdered sugar." Yes, yes I certainly do. But let me give myself some credit, here. I usually half my recipes so as not to eat an entire pan of brownies by my lonesome. As I always say, moderation is key if you want to have your cakes, pies, and brownies. And besides, I share. Usually. As far as these brownies are concerned, I'm embarrassed to say, I ate my fair share of them. They are so good. So very chocolaty. I will go out on limb and tell you that these brownies have more of cake-like quality to them. I personally love them, even though, I do prefer a much fudgier brownie consistency. 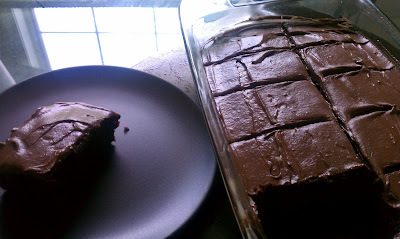 But the frosting on top makes everything better, and makes these brownies a worthwhile treat. And hey, we all know how cakes can be annoying and fall sometimes, right? Well, since these are "technically" brownies, they won't fall in the middle, but you still get to feel like you are eating a really good chocolate cake...oh yeah. These are my deep, dark, sultry and seductive chocolate pictures. You know, to lure you in. 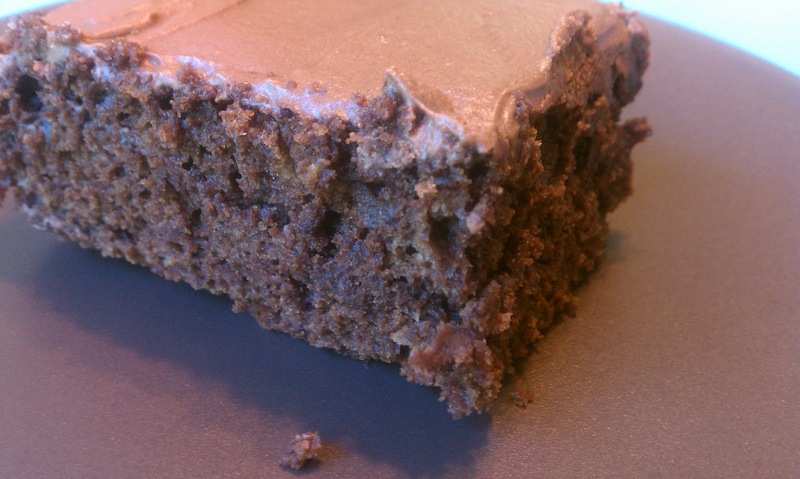 Could these fudge frosted brownies be any more delicious? Hmmm, I think not unless you happen to like your brownie recipe exactly as is, in which case, go for it. Use it to your heart's content, but don't leave out this frosting to pair it with. Pretty please? With frosting on top? Brownie recipe adapted from Brown Eyed Baker, originally from Joy the Baker cookbook. Preheat oven to 350 degrees. Grease a 7x11 inch baking pan and set aside. In a microwave safe bowl, melt together the butter (cut into thirds) chocolate chips, and cocoa powder on 50% power, stirring occasionally until completely melted and smooth. Set aside to cool. In a large mixing bowl, combine the granulated and brown sugars, along with the eggs and vanilla extract. 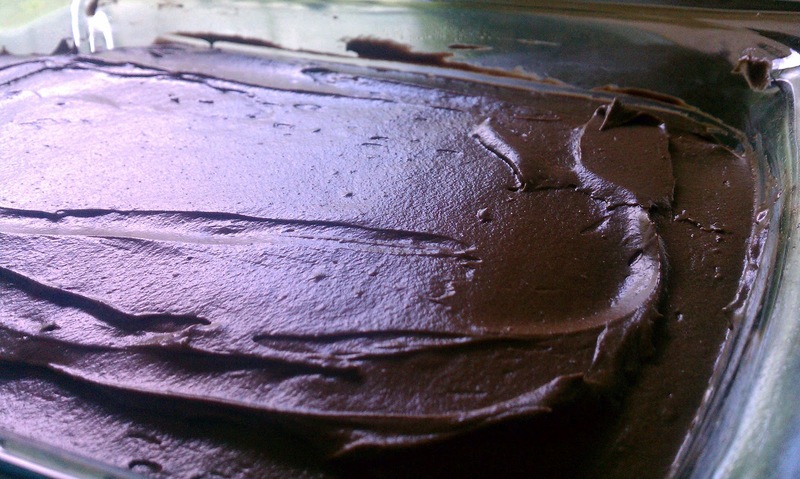 Pour in the lukewarm chocolate mixture and whisk to combine. In a separate bowl, whisk together the flour and baking powder. Fold the flour mixture into the chocolate mixture until just combined. 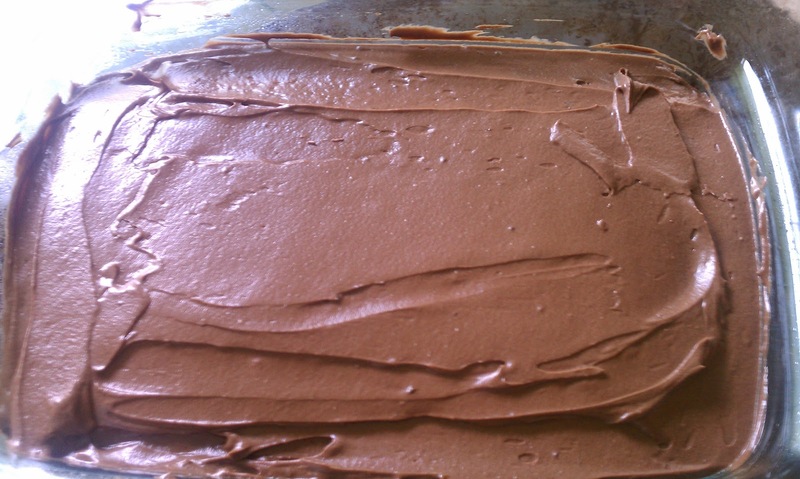 Pour batter into the greased baking dish and bake uncovered for 25-30 minutes, or until a knife inserted in the center of brownies is clean. Set aside to cool. For your frosting, combine the butter and powdered sugar and cream together using a mixer. 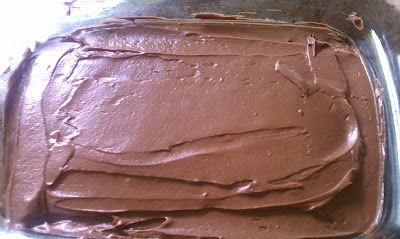 Add in your cocoa powder, vanilla, and half and half a Tbs at a time until frosting has reached desired consistency. 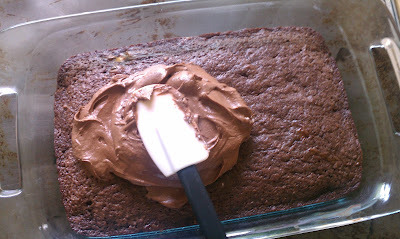 Once brownies are cooled, use a rubber spatula to begin spreading on your frosting. Use an angled spatula to smooth out the rest of your frosting. Cut brownies and serve. Makes 10 brownies. why thank you, whoever this is. I really appreciate it!